Swami Harshananda explains the significance of Yama Navami, Krishna Janmashtami, Vinayaka (Ganesha) Chathurthi, Vijayadasami forming part of Navarathri, Deepavali (Diwali), Holi and Sivarathri. 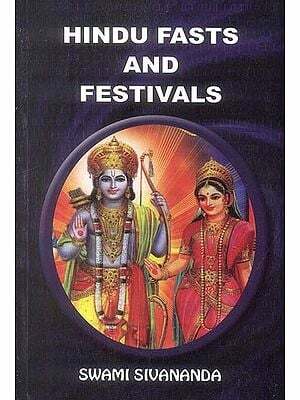 He has presented the vratas or festivals in the order in which they occur as per the lunar days (thithis). The vows on Ekadasi and Dwadasi are of much relevance to all men. Upakarma is yet another event of great import when men recall the guidance given by the ancient wisdom. There are men who scrupulously adhere to the divine command of submission to the departed, on the Amavasya days. A detailed account of all vratas has been explained by the author and a perusal of this small volume will enlighten the reader about the need to carry the vratas and celebrate the festivals with greater devotion. In the epilogue, the Swami refers to the recent unhealthy trend among dome sections to indulge in irreverent acts. The dignity and solemnity should be maintained, he urges.